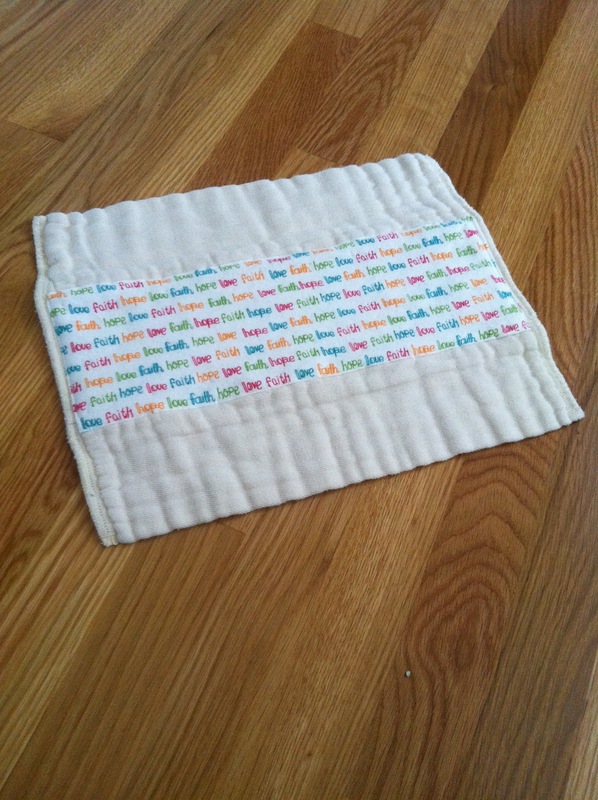 One of the next sewing projects I tackled was a simple one, but arguably the most used and loved… some blankies for Ella. I picked up some super soft material and some satiny material and made three identical blankies, roughly 15″ square. I’m not sure why I chose pink, since before I had a girl I was definitely NOT a fan a pink, and nothing else in Ella’s room is pink, but as it turns out, now that she is 2, she CANNOT GET ENOUGH PINK! So it worked out rather well in the end. And now… a picture overload of Ella and her blankies. and for climbing into ottomans, of course! 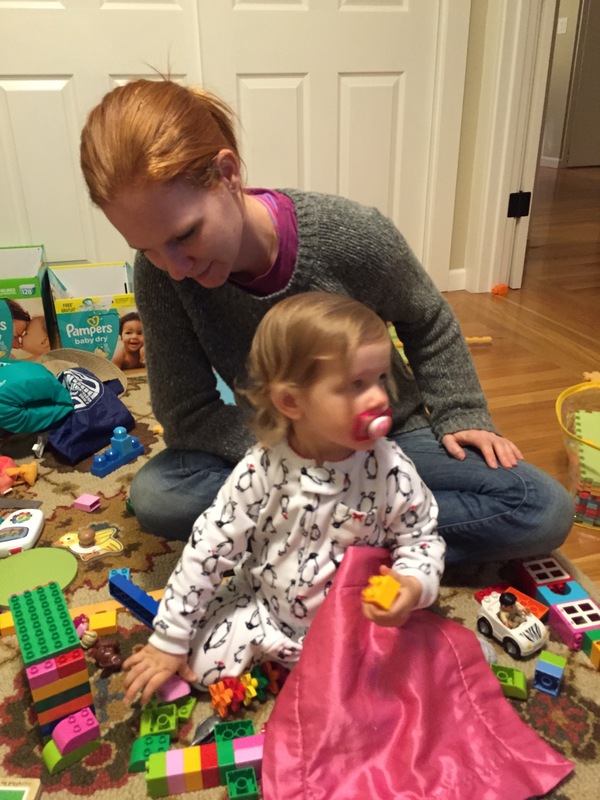 I realized that it looks like Ella always has a paci in as well (that’s what we call her pacifiers… pick your favorite term… binky, plug, pipe – yes, we called them pipes in my house when we were little!). She does love her pacis, and for a while her pacis and blankies were kind of a combo. However, we have successfully restricted the pacis to her bed now! (Yay for small victories!) I’m *hoping* that by the time she’s three she’ll want to give them up on her own… but I may just be fooling myself on that one! 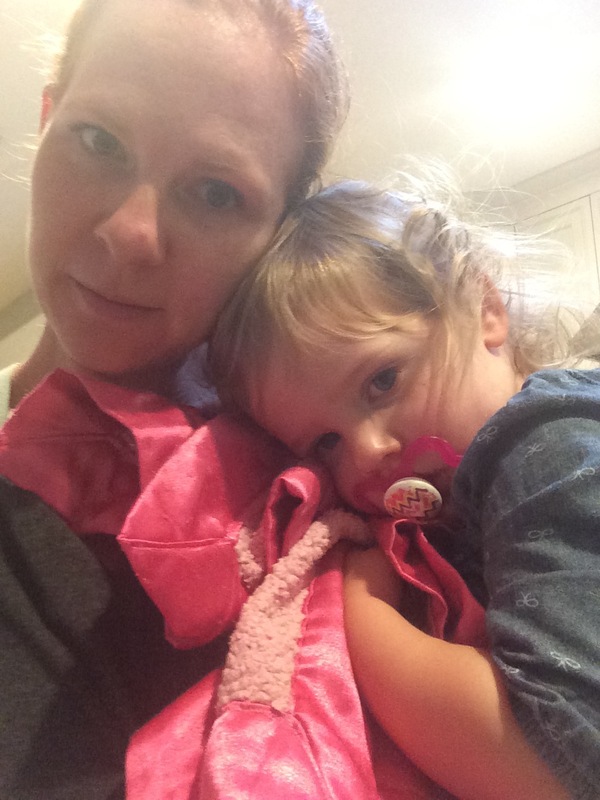 After my daughter was born just over two years ago, we discovered that she was a “spitter.” As in, she could drench herself and anyone holding her, at any moment, regardless of when she had last eaten. 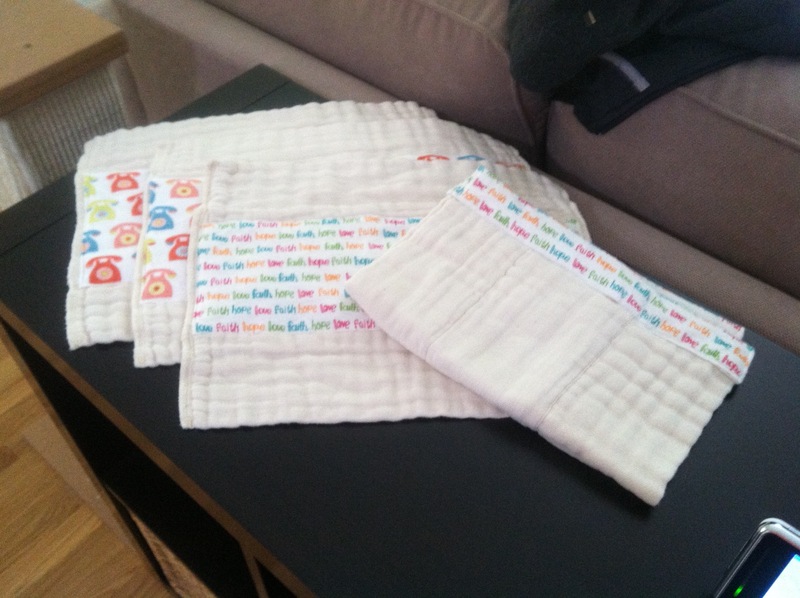 What this meant for me was that I needed more burp cloths ASAP, and some that were super absorbent. I decided to use cloth diapers, and since I was on maternity leave with my first baby and had some extra time on my hands, I thought I would “cute” them up a bit with some flannel material. So I borrowed my mother in law’s sewing machine and literally read the manual in order to make my first project: And… I fell in love with sewing. My mother in law gave me a sewing machine for Christmas a few months later (in order to get her machine back!) and I’ve been diving into the world of sewing ever since. I’m self-taught (with the help of many, many tutorials and online videos) and would still classify myself as an adventurous beginner, but I’m having a lot of fun and I’m hoping to share some of my projects here. I’ll probably also share some other things along the way. I hope you stop by from time to time and check it out!